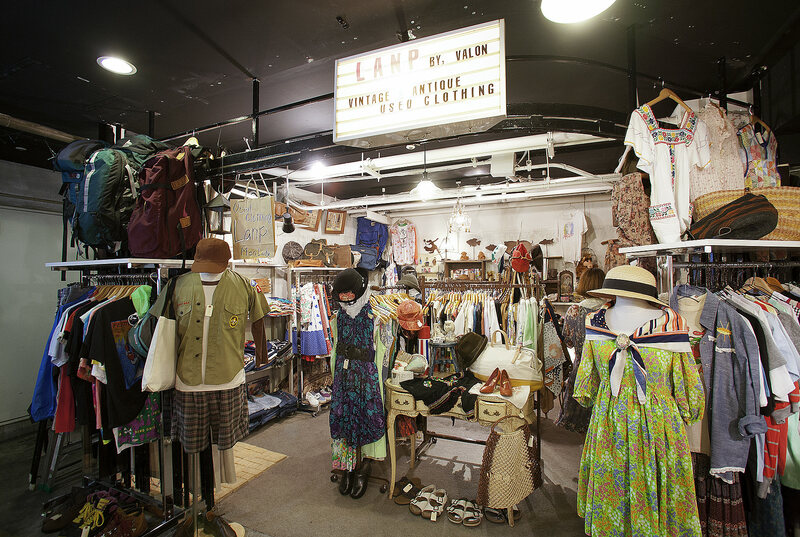 Lanp which is located in Toyo Department Store on the north exit of Shimokitazawa Station and is a secondhand clothes shop handling mainly women’s wear opened in March of this year as a sister shop of “VALON” handling men’s secondhand clothes. A customer is pleased at all goods which are low price despite stylish and high quality, and are selected at least from “stylish wear” and “pretty wear”, and are genre-less ranging from vintage and antique after 1900 to current secondhand clothes. Lanp provides mainly women’s clothes together with some men’s clothes, and they also provide fulfilling goods such as a hat, a bag, shoes, an accessory and so on. These are such fastidious lineup as the shop owner’s passion expressed in the message of “I would like to convey merit and pleasure of secondhand clothes to a customer” is conveyed.